Kids love being heroes, playing their favorite characters to save planet from destruction and fight against villains. 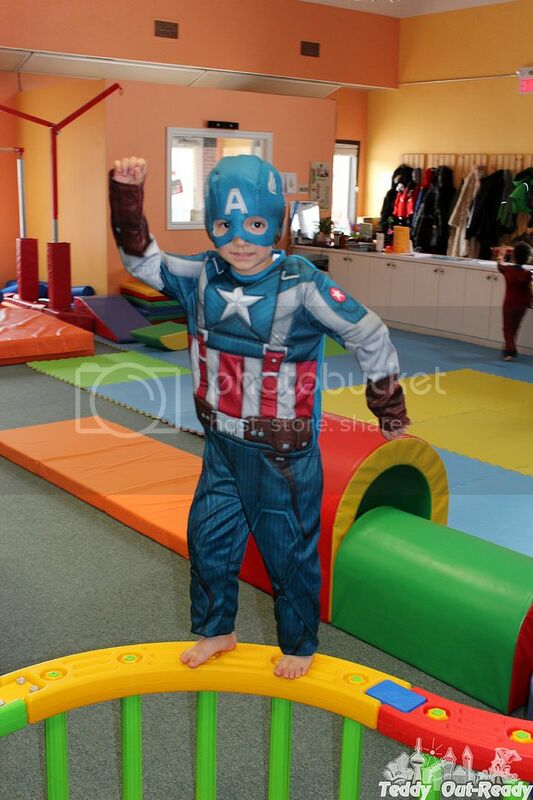 After watching Winter Soldier we decided that getting Captain America costume will be our next move to superhero world. The selection of Captain America costumes is impressive, reflecting the multiple adventures of this superhero through generations. 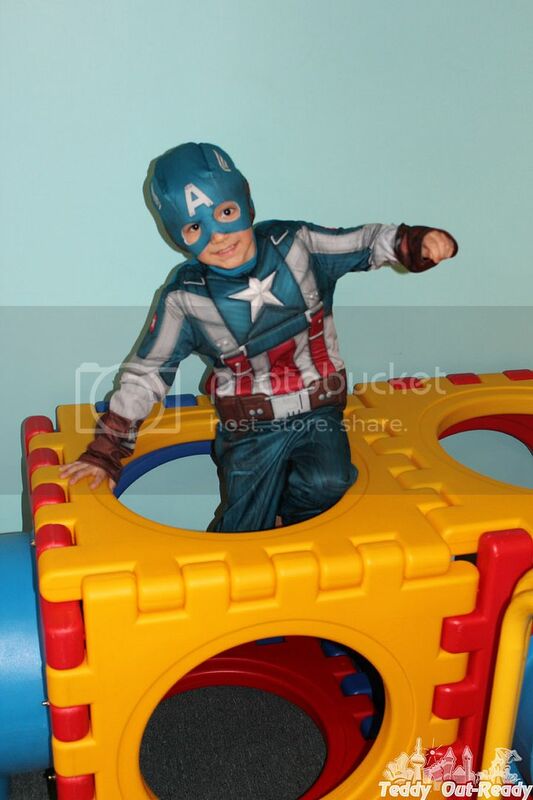 And we put our eye on Captain America Retro Muscle Child Costume for Teddy. It was the one we liked the most for being the classical Captain America superhero outfit plus with upcoming this spring Marvel’s “Avengers: Age of Ultron”, we are ready to join global adventures of the strongest and fastest. 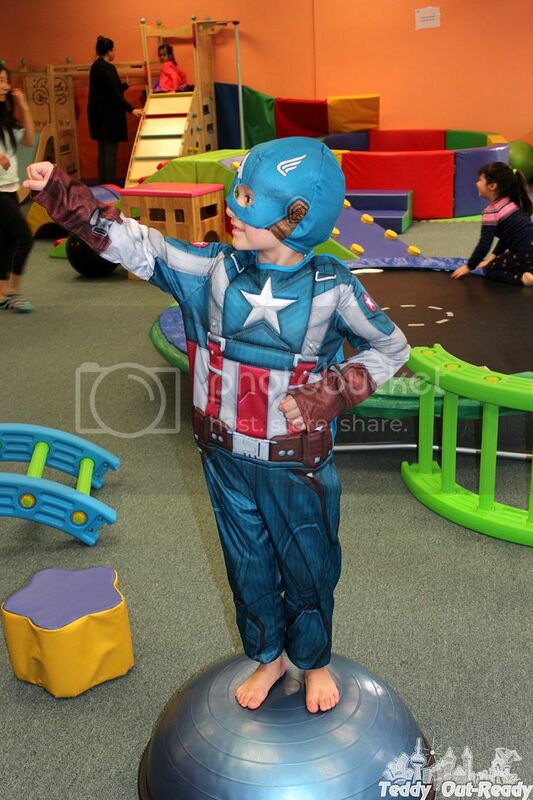 The Captain America costume is a fun and fantastic way for Teddy to dress-up like his hero, Steve Rogers, for any special day. This time we decided to order a costume a little bit bigger so that we can wear it to various events at school and parties for longer period of time. We can also add extra clothing under the costume to keep our little boy warm, very helpful if Teddy wants to play outside, during ice-skating or outdoor parties (our Canadian weather can be frigid by the way). The costume we received consists of a printed jumpsuit and a fabric mask. The top has fiber filling that puffs out the chest and arms to show hero’s spectacular muscles what seems pretty cool for our slim boy. 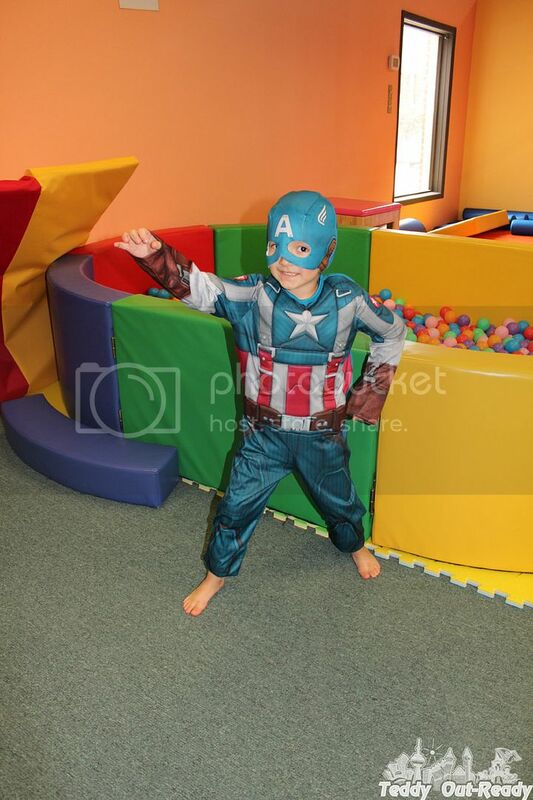 The printed jumpsuit is designed to reflect famous red, white and blue colors of the classic Captain America disguise, complete with the stars and stripes. 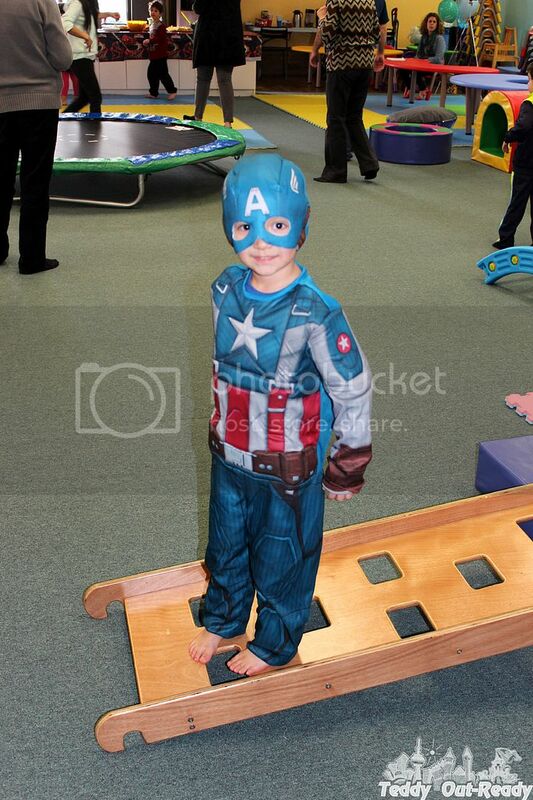 The costume has blue top and blue pants to follow original Captain America outfit. I like that the mask came made of fabric (not plastic) with a letter “A” on forehead. Teddy can wear it without complaining; it is soft and fits his head perfectly. The arms and legs have brown finishing to look like gloves and boots. Now we just need to get Captain America shield to get the final look and Teddy is ready to team up with the rest of the Avengers to save the Earth. 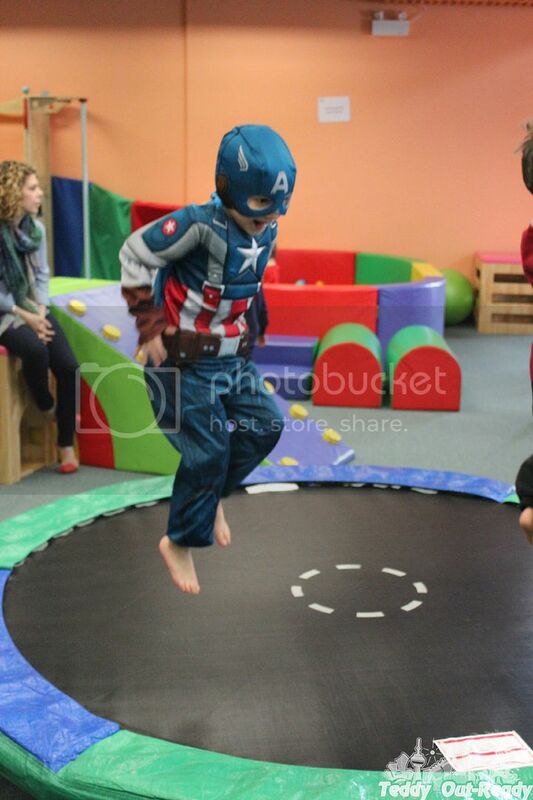 Last month our boy was invited to Superhero Birthday Party, kids and adults had such a good time celebrating. Becoming superheroes was so exciting for everyone. 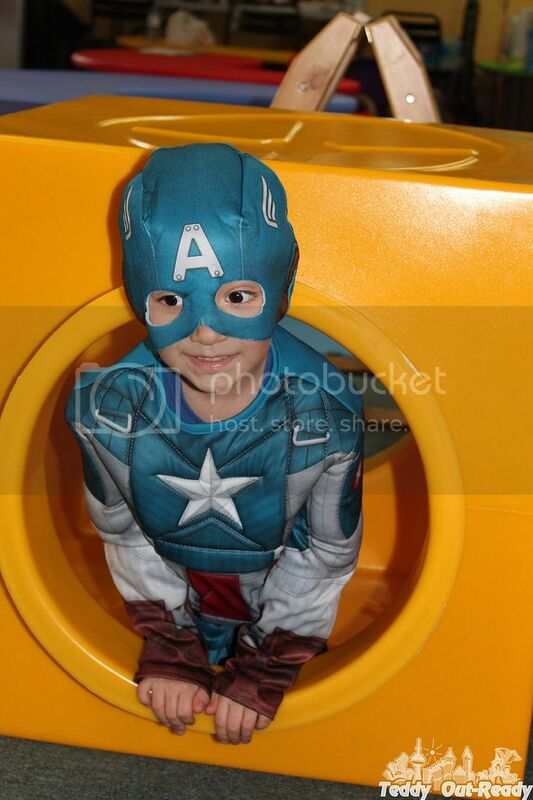 Being a Captain America fan, Teddy is looking forward to see Marvel’s “Avengers: Age of Ultron” coming out to the big screen May 1, 2015. It is time to dress-up as favorite superhero, follow epic adventures and stop the terrifying technological villain. 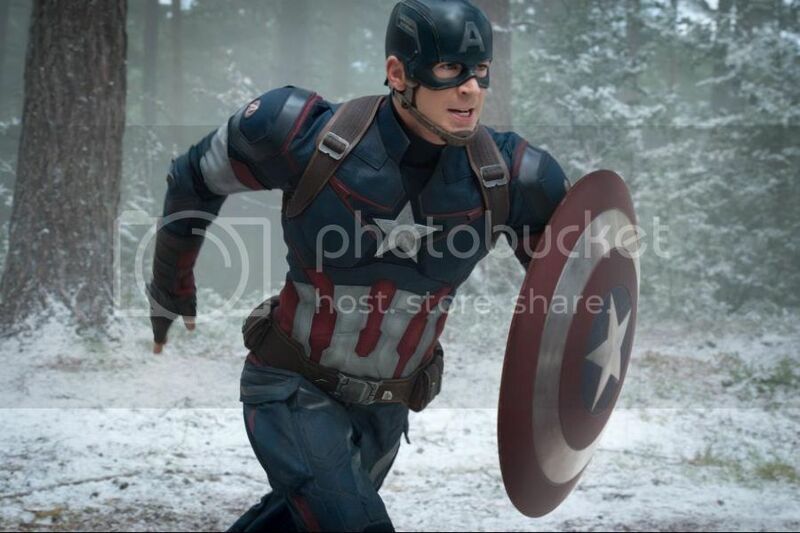 Special thanks to Walt Disney Studios Canada for providing Captain America image used in this post & an invitation to Marvel’s “Avengers: Age of Ultron” screening where Teddy is going to wear this costume.